Coming up with new designs can be a huge risk, so we thought we would look to Kickstarter this year to trial our ideas. 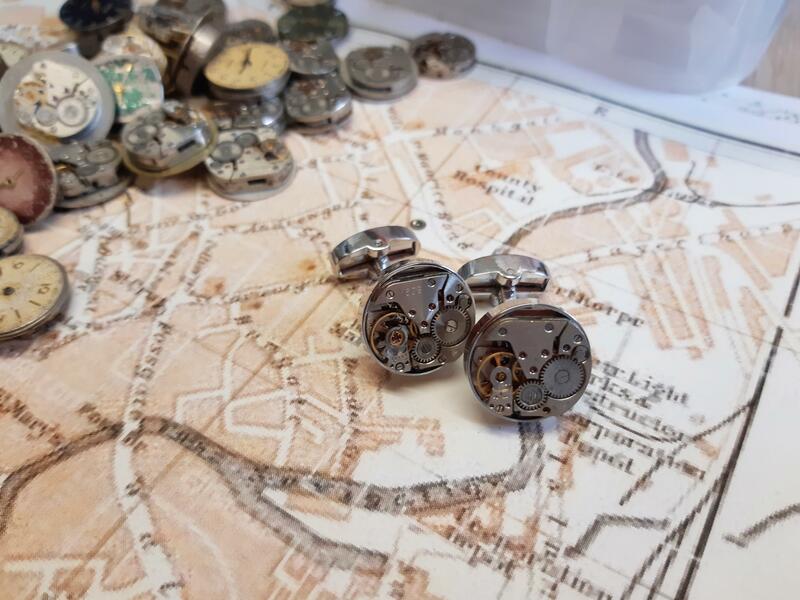 The first such design we are trialling is steampunk cufflinks. We make these using old mechanical watch movements. The unknown risk with these, is the cost of stripping down the old watches, so with our Kickstarter we will be looking to invest in some new bench tools to make this job simpler. We have made these steampunk cufflinks before, although due to the fact we are taking apart old watches to make them, the costs are unknown. We have developed some tooling to simply the process which means we will be able to make these cufflinks much easier (and thus affordable). This is the reason for crowdfunding, to pay for this new tooling. Cuffs & Co have been making cufflinks for over 15 years. We are a small family business based in the north of England in York's historic streets, we have a customer facing high street store and this website. Do you have any comments about this blog post? Or are you interested in writing a blog post for us? Get in touch via Facebook, Twitter or Instagram @cuffsandco.